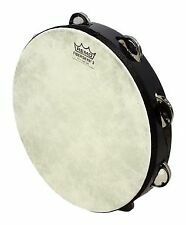 Remo Fiberskyn Tambourine - Quadura Black, 8"
simmons set of 4 mesh head electric drum triggers. with mounting rods. Condition is New. Shipped with USPS Priority Mail. These pads are fresh out of the box and have never been played. On top of that, this cymbal's crisp, glassy effect easily pierces through the massive roar of distorted guitars, so you don't have to play hard to be heard. Creates an enhanced ringing bell sound with a wide frequency spectrum and long sustain. Empty Sub Boxes. - Neon Lighting. Sound Character: Full, wet with a brittle, trashy side. Fairly wide range, complex mix. Soft and very responsive, giving feel with a short, exploding sparkly splash character. Sound Character: Bright, full, warm, clear, silvery. Narrow range, balanced mix. Fast, explosive response. Great for stronger splash playing. Bell Character: integrated. 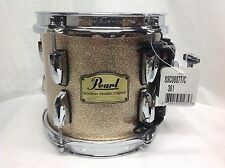 TAMA Superstar Classic Maple 8" Tom - Midnight Gold Sparkle - In Stock! Full Factory TAMA Warranty applies. Superstar Classic Maple. Midnight Gold Sparkle. 100% Maple Shell. 6-ply, 5 mm. 7 x 8" Tom. w/Star-Mount Suspension Rim. of smooth bearing edges and stunning finishes which will make you. USA depends on your location. Ruby Fade Eucalyptus/#486. Birch Shell. The item(s) must be unused and free of any signs of use, wear, stick marks, smudges, and/or fingerprints. These investigations can take several weeks to conclude. Here is aNFUZD Audio 8" Tom Pad. Real Sized and Soft Playing Pad Surfaces allow players to maintain the setup and spacing of their acoustic kit while producing low ambient noise for quiet performance! This Flower Shaped tambourine has eight double rows of jingles, (16 total) that will cut through any choir or music ensemble. Adult Only. • Blown speakers or subwoofers that have burned voice coils or punctured holes are not covered under warranty, however, we will do our best to help you get coverage. 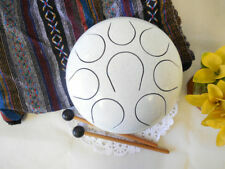 WuYou Steel Tongue Drum - High Quality steel drum, 100% handmade. Original factory manufacture. 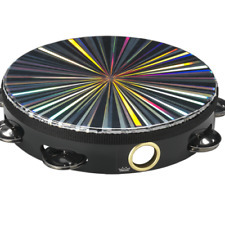 Steel tongue drums are of rich tones, which clean the spirit with powerful penetration. They can be played by drumstick or by bare hands, beating, patting, or finger patting, with no fixed musical background. But moreover, Classics cymbals are unparalleled in the semi-professional range with regard to their extensive selection of different models. New Gear: If you’re not satisfied, neither are we. It’s that simple. The 8" and 10" Dark Splashes exude a subtle whooshing effect sound with a round, even decay. Originally conceived for use with Yamaha's DTX series kits, the XP80 houses the advanced sensing capabilities that let you trigger three different sounds. You have the main pad area for your regular snare/tom head, plus you can pull off open and closed rimshots. USA depends on your location. 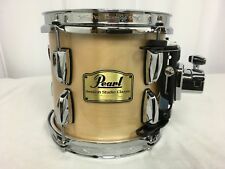 Pearl Sessions Custom SMX. Maple Shell/#292/. This 28% thinner shell produces the tonal purity and increased resonance of Pearl’s legendary Masters MMX, while projecting with the vibrant power of the thicker MRX series. 1 x Wuyou Steel Tongue Drum. Material: Bake-hardening steel /Stainless steel. Colors: Black / Black gold / White / Light blue /Blue / Shining blue / Dark blue / Green / Bronze / Silver / Pink / Red / Gold / Orange. Salt City Drums is an Authorized Paiste Dealer. SEARCH "WUYOU DRUM" ON YOUTUBE FOR OUR AMZING SOUND. Steel tongue drums are of rich tones, which clean the spirit with powerful penetration. When attentive playing with them, you keep breathing with drums' sounding. HDS (High Definition Sampling) technology provides an authentic drumming experience 123 studio-grade drum, cymbal and percussion sounds Realistic-feeling, natural playing trigger pads and cymbals Dual-zone snare pad for drum head and rim playing techniques Audio input to play along with your iPod , iPhone , iPad , or MP3 player. Tama Superstar. Our highest priority in producing the Superstar series of drums was sound. The full, powerful character and rich resonance of the Superstar drums were achieved by utilizing carefully selected maple shells and focusing intently on shell molding and the bearing edge shape. Type: Thadobati. Singing Bowl type: "Thadobati". Rim tone: D5 578 Hz. ; 2nd (Sacral) chakra. This fine-quality authentic antique Singing Bowl was personally hand-selected in the Himalayas by Tibetan musicologist Rain Gray. 1 x Wuyou Steel Tongue Drum. They can be played by drumstick or by bare hands, beating, patting, or finger patting, with no fixed music scores or patterns. 5" tone 7 Sliver. 5" tone 7 White. 5" tone 5 Brown. Installation Harness. - OEM Harness. High Pitch. 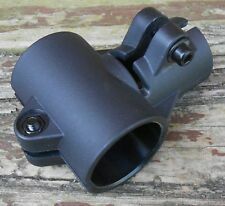 - Wall Mount Brackets. Traditional Finish. - Sound Damping. - In Wall Speakers. - Wall Plates. Highly polished finish, brilliant and bright sound with fast response.The Byzance Brilliant Finish series is handmade in Turkey using B20 bronze alloy. The sound has a full mature dark tone that is good for almost any style of modern music. The Natural Series have been sensitively updated and fine tuned with the purpose of getting back to the main features that have defined this range since its conception. The weight of the splashes have been reduced. PROFESSIONAL SERIES FWB400 WOOD BONGO 7" MACHO & 8 1/2" HEMBRA. Exceptional sound qualities combined with a wide variety of colours make it the perfect bongo for the working musician. 7" Macho & 8 1/2" Hembra. A warm, rich-sounding drum, the GB Pandeiro features precise platinelas (jingles), providing wonderful articulation and projection. Includes pro carrying case with shoulder strap, and tuning key. A punchy, cutting splash that really opens up and breathes! This design results in a Splash cymbal with biting tone and plenty of substance and depth. Also available as a 10” model. SABIAN 8" AAX Air Splash Cymbal.